Classical Guitarist--Love Song Vocalist available for Weddings, Anniversaries, Elite Gatherings. 25+ years of playing, composing & enjoying the Martin Guitar. Relaxing, enjoyable ambiance for your events. Will audition and come to your venue where ever you maybe. 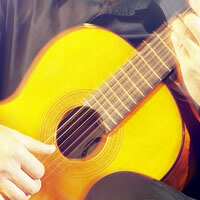 If you truly appreciate classical guitar, want that extra special ambiance for your event. We are just a phone call away. You will be glad you called! !